Brief: Best Black Friday and Cyber Monday deals that should be of interest to many Linux users. The deals are on Linux gadgets, courses, books, magazines, merchandises, and servers. To the American readers of It’s FOSS, happy thanksgiving! Black Friday is here which means it is time for some crazy discounts and deals. Good thing is that you don’t have to be an American to enjoy the discounts. Black Friday tradition has caught up with many other countries as well. Internet-specific products are anyway available in almost all countries. Which means, the Black Friday is a global event now. But finding Black Friday deals of your interest is a daunting task. Even if you spend the entire day on the internet looking for good deals, chances are that you would still miss a good deal. 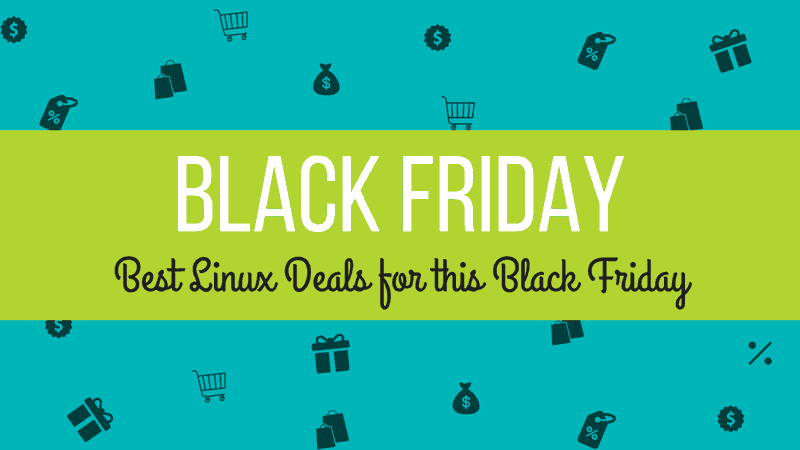 And this is why I created this page to collect the best Black Friday deals for Linux users. Keep your wallet ready. Here are the deals! Please note that some of the links in this article are affiliate links. Please read our affiliate policy for more details. I have grouped deals together. Gadget deals are listed together, online courses are in one group and so on. Most of these deals are time sensitive so you have to act fast to grab the offer in time. I’ll also take this occasion to introduce our new project, Linux Deals. This website will offer you exclusive Linux related deals all year round. This has to be the best offer for anyone serious about making a career in Linux. Linux Foundation, the official non-profit organization behind Linux, offers several certifications and training courses. These certifications are trusted in the job market and they give your resume a boost, landing you a job or career change. Let me tell you a little secret to save further on this already awesome deal. At checkout time, use coupon code FOSS10 to get a further discount of 10%. This will take your total savings to over 75%. And you get the free t-shirt as well. See, I told you that this is the best Black Friday deal for Linux career aspirants. Linux Academy is a prestigious name in the world of Linux and DevOps e-learning. They have a vast range of video courses and labs available on Linux sysadmin, cloud-related technologies, courses on AWS, Google Cloud, Azure etc. Check out their course catalog and see what they have got to offer in detail. Linux Academy is offering 33% off on its yearly plan. Which means that you save $150. The offer ends on 26th November. If you think the above two deals are a bit on the expansive side and perhaps not suited for your need, you can try Udemy. You’ll find a number of Linux courses on Udemy and the good thing is that all of them are priced just $10 (or equivalent in your currency). And Udemy is not just about Linux. You can find video courses on a range of topics from AI to Photography, from Big Data to GIMP editing and what not. I suggest that you go for the courses with either best-seller tag or that has good reviews. This would be the best affordable deal of this Black Friday season. Oh! A quick hint, if you buy any Udemy course on Black Friday i.e. 22-23 Nov, you’ll get a free course on Cyber Monday i.e. 26-27 Nov.
Switzerland based pCloud is one of my favorite cloud storage providers. It provides a native client for desktop Linux users but that’s only one of the many features. Switzerland is now synonymous with privacy and data protection. pCloud takes pride in it and provides a 256-bit AES encryption along with TLS/SSL channel protection. pCloud is offering its lifetime plan at 75% discount in Black Friday. Which means you get 500 GB of cloud storage for a one-time payment of $122.5 and 2 TB of cloud storage for a one time fee of $245. If you missed that Black Friday offer, don’t lose heart. pCloud is now running Cyber Monday sale and you can get 500 GB cloud storage for $175 and 2 TB cloud storage for $350. Both offers are lifetime and you get free client-side encryption. Since we are speaking of Switzerland and privacy, I should mention that ProtonMail is also offering a Black Friday deal. Switzerland based ProtonMail is known for its privacy oriented services like the open source emails service and the secure VPN. ProtonVPN Basic, normally $4 (now $2) a month on an annual plan, will be available for $48 USD for two years (instead of $96*). 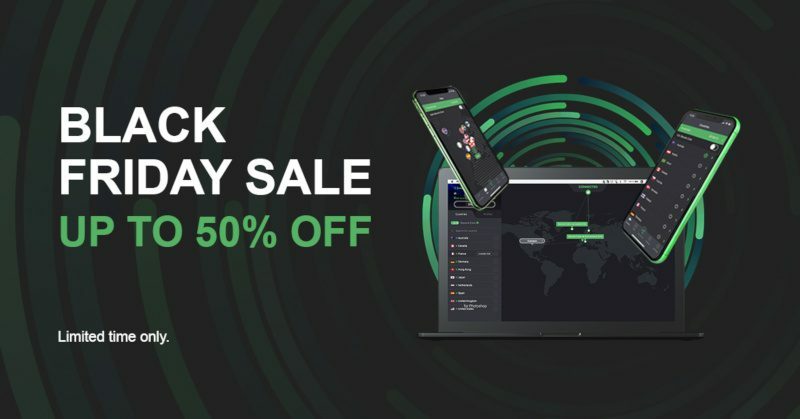 ProtonVPN Plus, the most popular plan and normally $8 (now 4$) a month on an annual plan, is available for $96 USD for two years (instead of $192*). And a bundle of ProtonMail Plus and ProtonVPN Plus will be available for $144 USD for two years. That is two years of both ProtonMail Plus & ProtonVPN Plus for less than the price of one year of ProtonVPN Plus ($192 on an annual plan). Alternatively, you can use Singapore based Ivacy VPN which is available at 87% discount. Apress is a New York based publisher of IT books. It has some very good books on Linux, open source and of course software development. Though these books are usually in the range of $30-$40 range, you can get them in just $7. Discount should be automatically applied but if not, use the coupon code CYBERWEEK18. There is also a 10% discount on the print edition. You can avail that with code Apress10A. You can browse through the books on its website. Offer is valid from 19th Nov till 26th November. You probably already came across Packt books. They are a big name in the IT industry and have published more than 6000 books on core technical topics. You’ll find books covering all the cutting edge technologies and at times, on specific niche topics. Books are written by people who are already working the industry and hence you learn from their experiences. I would advise you to go through the cookbooks, specially on security related topics. Dell is one of the largest sellers of Linux laptops. It’s XPS 13 Ubuntu edition is one of the best Linux laptops you can get. I bought it in last Black Friday sale and saved around 150 Euro. There are sales on Dell laptops again this year. However, this is not generic as the discount varies from devices to devices and region to region. In France, the discount is 15%. You may have to search for Ubuntu laptops on the website as Dell doesn’t display it in the main catalog. Slimbook got into the limelight with the launch of the first KDE exclusive laptop. The Spanish computer vendor is also offering Black Friday offers on two of its products. System76 needs no introduction. They deal exclusively with Ubuntu based hardware. You get premium Ubuntu based laptops, mini-PCs, desktops and servers. System76 is running its Black Friday deal and is offering discounts from $30 to $900 depending on what you are purchasing and how you upgrade your configuration. UpCloud is a cloud server provider and claims to be the fastest cloud server in the world. The server for It’s FOSS is also hosted on UpCloud. UpCloud is offering $50 free credits for its server usage. Considering that the minimum plan starts for $5 a month, this means you get 10-month of free cloud server. With this, you can deploy your websites, apps, open source project etc., on Linux server of your choice. Deploying a server is really easy but you’ll have to configure the applications on your own. If you don’t want to do that, you can use a service like Server Pilot. Server Pilot would cost you extra though. Insync is one of the best ways to use Google Drive client natively on Linux. It also allows multiple account synchronization. Insync is giving up to 75% off on its plans on the occasion of Cyber Monday. The deal starts on 26th November for 48 hours. For the first 24 hours, you get 75% off. For the next 24 hours, you get 50% off. So do keep a tab on the time and date and set your calendar accordingly. Linux Format and Linux User and Developer are among the best Linux magazines. Both magazines are published by the same UK based publishing house. You can get a limited time 20% off on the subscription of both the magazines, either in print or digital format. There are annual editions and binder editions of these magazines as well. You’ll have to search for these magazines under the tech section on publisher’s website. Humble Bundle is also running the Black Friday sale on a range of gaming titles. These are games that can be downloaded from Steam. Do note that some of the games might not be available for Linux. Even though you can play those Windows-only games on Linux thanks to the new Steam feature, it’s better to avoid purchasing such games. I would advise to filter the games for Linux platform and then make a purchase. No Starch Press is a prestigious name in tech publishing world. No Starch Press puts more emphasis on ethics than making money. All the books you buy are DRM-free. They have some real good titles like How Linux Works, Wicked Cool Shell Scripts and The Linux Command Line. You can get 42% off on all the books published by No Starch Press until 26th November. Just use the code FRIDAY42 at checkout. You probably already know about Tutanota. It’s an open source, encrypted, privacy-focused email service that keeps you safe from the prying eyes of Google. Tutanota is free to use with limited features. If you want additional features like custom domain, additional storage, custom labels etc, you have the option to purchase the Pro or Premium version. Tutanota is offering 37.5% discount for the first year of payments. Which means you get 5 free months for the first year if you get the annual package. The offer is valid till 26th November. This is not really a Black Friday deal. It’s an evergreen deal but I wanted to include it here because it’s too awesome to be excluded. 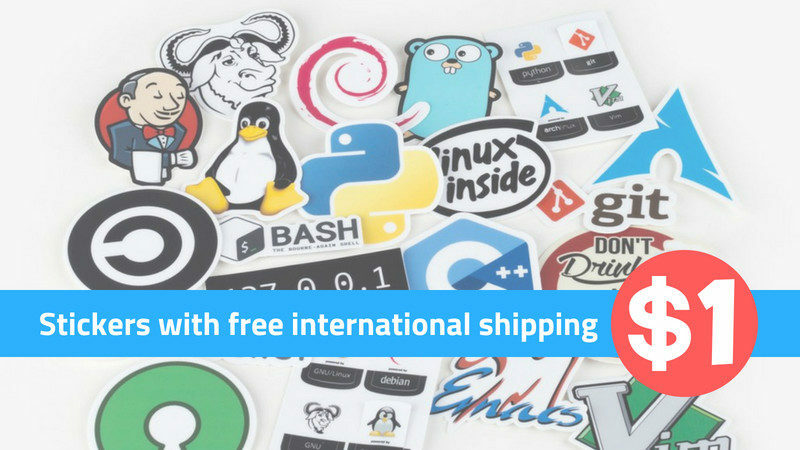 If you are looking for Linux and programming related stickers, look no further than Unixstickers. They have bundles of premium stickers available. The best thing is that their starting pack of 13 stickers is available for only $1 and this includes free international shipping. What else can you ask for? Just head over to their website and order a pack of stickers for yourself. You should check out It’s FOSS Shop as well for additional products. It’s an affiliate store and has a range of VPN services and online courses available. As I had stated earlier, this post contains some affiliate links. Please read our affiliate policy in that regard. If you know of some other Black Friday deal that might interest Linux users, please feel free to suggest me and I’ll add it to the list here. I hope this post helps you save some money. Meanwhile, why don’t you share what you already got in this Black Friday sale? Any new deal from Linux foundations? Subscribe to our newsletter and you’ll be notified of new deals. Does the free credits from UpCloud are limited to the trial period? Or it can be used any time (without expiration for the credits)? I am not sure. I’ll ask the UpCloud people for clarification. linux academy blackfriday deal is for only new customers or members that pay only pay monthly, and will upgrade to a year membership. stuff you should know before joining, certain days (like today the videos do not work), cloud servers sometimes do not work for whatever reason, the hands on labs sometimes have the wrong instructions or do not work because of a configuration issue, labs instructions are different than the course video instructions, written instructions for a lab do not match a labs video instructions, google helped me overcome these problems. But, I should not have to troubleshoot the labs to make them work as a student. I got a refund on my membership. I have heard some of their courses are ok, but I will go elsewhere for study material. Hi, Can you recommend a better site similar to linux academy? From here I went to the ProtonMail website where after some reading i found this page. That Protonmail article was written almost two years ago. It seems that ProtonMail has updated its features since then. I’ll try to update the article with the new information.